The rate of motorcycle fatalities has been significantly reduced in states where the use of cell phones and other held devices has been banned. States that have implemented strong to moderate laws banning held device usage have reduced motorcycle fatalities by as much as 11 percent over states that have no bans, according to a study by faculty at Florida Atlantic University and the University of Miami. Social Science and Medicine recently published the study’s findings regarding the positive effect of distracted driving laws on motorcyclist safety. The studies authors gathered annual data from the Fatality Analysis Reporting System on total and motorcycle specific traffic fatalities from all 0 states from the period of 2005-2015. The effectiveness of strong, moderate and weak handheld device bans, compared to no bans, was merged with the collected data, on a state specific basis. Relative to the share of all other motor vehicles and vehicle miles driven in the US, motorcycles account for a much higher proportion of traffic fatalities. Motorcycle fatality rates have showed no decline over the last several decades while improved safety has greatly reduced other motor vehicle deaths over the same period. While recent findings have been inconclusive on overall traffic fatalities in the general driving population in regard to handheld device bans, the studies findings show that motorcyclists are at an increased risk from distracted driving and thus could benefit from these laws. According to the research this determination was based on data from multi-vehicle crashes as opposed to single vehicle (motorcycle) crashes. At present, 16 states and the District of Columbia ban talking on a handheld cellphone while driving, while 38 states and D.C. restrict the use of all cellphones by inexperienced drivers, according to the Insurance Institute for Highway Safety. 47 states and D.C. ban text messaging. French expressed hope that the results will “facilitate a more informed discussion between legislators, law enforcement officers, and the general public about distracted driving and traffic safety. If you are injured in a motorcycle accident and believe a distracted driver was the cause. 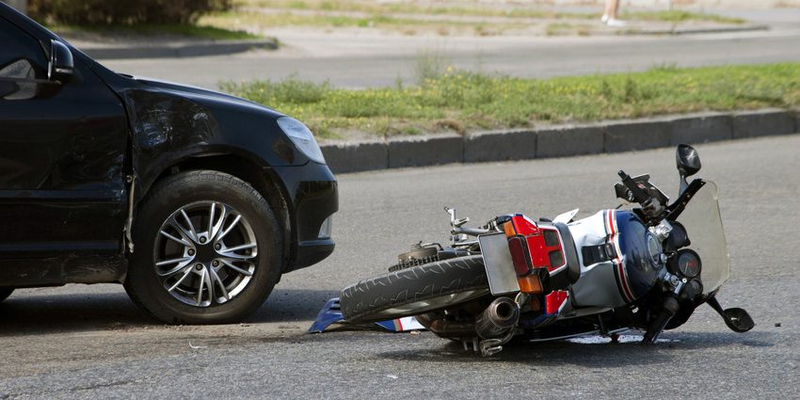 you need to contact an experienced motorcycle accident attorney immediately. An investigation into the cause of your accident needs to be done while evidence is still fresh and witnesses are available. The longer you wait the more difficult proving your case can become. Vititoe Law Group is committed to motorcycle safety and has advocated for many victims of motorcycle accidents. Contact an experienced motorcycle accident attorney at Vititoe Law Group today for a free consultation. You may be entitled to compensation.